The holidays are a special time for spending quality time with loved ones near and far. While the holidays should be joyful, it may also be necessary to breach the subject of funeral pre-planning. Striking up this conversation with family members isn’t always easy, but by leading with compassion and understanding, you can make important life and death decisions for you or loved ones. Today, the professionals from Clepper-Kelsch Funeral Home and the rest of their family-owned funeral homes in Cincinnati, OH, explain how to handle this conversation with grace and care. Find A Quiet Time: Funeral pre-planning may not be the best dinner conversation topic, especially if you have guests. Rather than addressing the issue when everyone’s around, find a quiet, peaceful time where those involved can chat in private. Address It Early: The sooner you bring up this topic, the better it will be for everyone involved. This will reduce any feelings of pressure or stress you or your loved ones may feel about discussing it. Pull them aside to gently ask if they’d be willing to discuss the issue when they feel ready—giving them time to emotionally prepare. Be Sensitive: Explain to your loved ones that funeral pre-planning is something that people are addressing at increasingly earlier stages of life. It’s not about being old; it’s about making a positive choice for one’s future. During the conversation, be sensitive of your loved one’s feelings, needs, and wishes. By leading with patience and respect, you will ensure the best possible outcome. 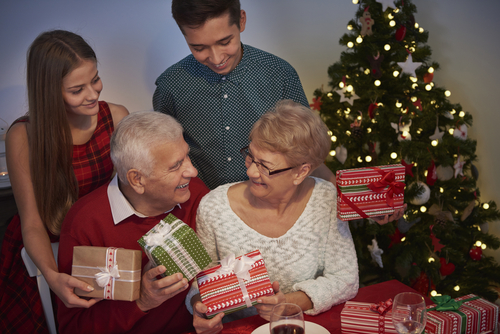 To have a happy holiday season and a peaceful New Year, enlist the support of your family to discuss your funeral pre-planning needs. To contact Clepper-Kelsch Funeral Home, call (513) 731-1994 or visit the website.